Here in this post, we will show you one reliable way to transfer photos from iCloud to Google Drive. Keep reading and you will find moving iCloud photos to Google Drive is not hard at all. 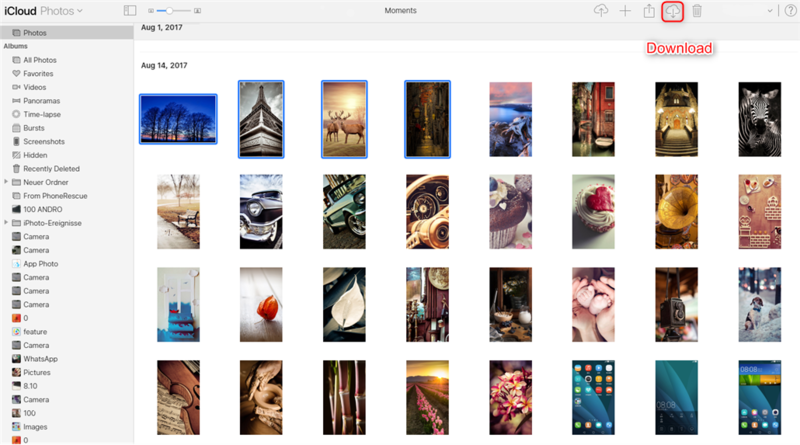 iCloud is a perfect place to store photos. 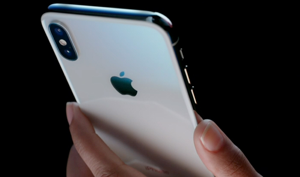 With iCloud, all photos on iOS devices and Mac computers could be kept up to date. However, only 5 GB free iCloud storage is offered. 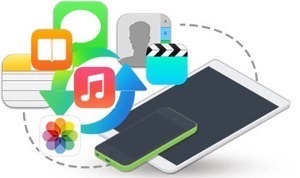 To save iCloud free storage, it is a good idea to transfer data like photos from iCloud to other cloud services, like Google Drive. 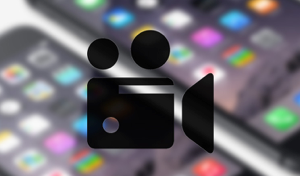 Here in this article, we will focus on talking about how to transfer photos from iCloud to Google Drive. Just follow the steps below and you can move iCloud photos to Google Drive with great ease. Step 1Visit icloud.com > Enter your Apple ID and password > Choose Photos. Step 2Select the photos you want to transfer to Google photos > Click the Download button on the top right. Step 3Go to the official website of Google Drive > Enter your Google Account and password to log in your Google Account. Step 4Click on the New button as is shown below > Select File Upload > Choose photos downloaded from iCloud > Your iCloud photos will soon be moved to Google Drive. In this way, you can only transfer photos in iCloud Photo Library. If you want to transfer photos from Photo Stream or Photo Share, please download iPhone photos to the computer first, then upload to Google Photos. Directly migrate photos from one cloud accounts to another. 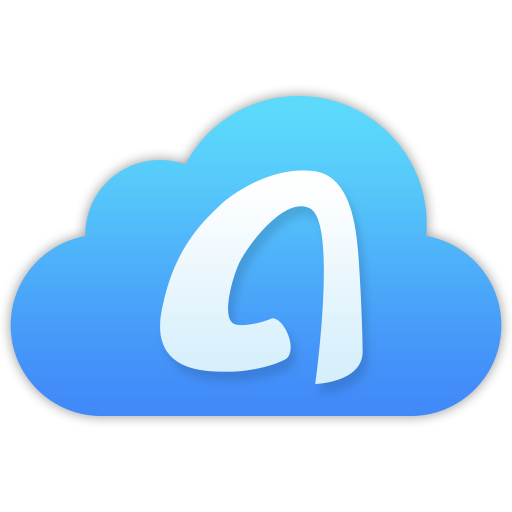 With the help of AnyTrans for Cloud, you can transfer tons of photos or folders between two cloud accounts in one platform. 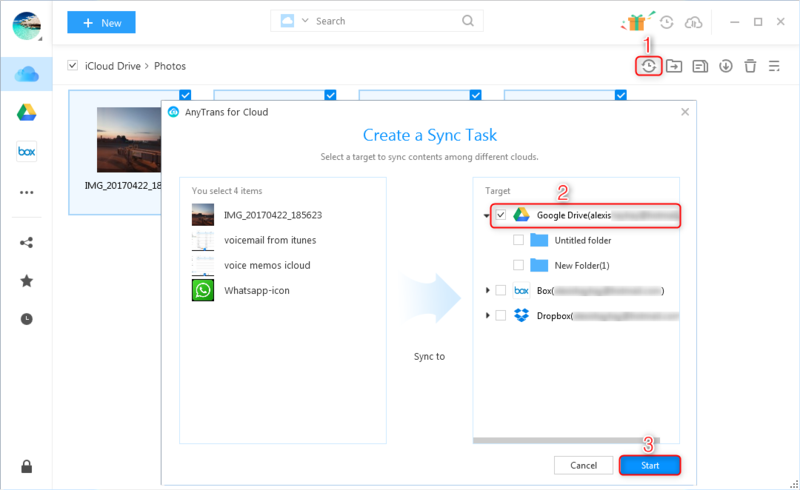 Sync files between two cloud accounts in a fast speed. With three different modes to choose, you can sync your photos between clouds easily and speedily. Manage all your cloud accounts in one platform. 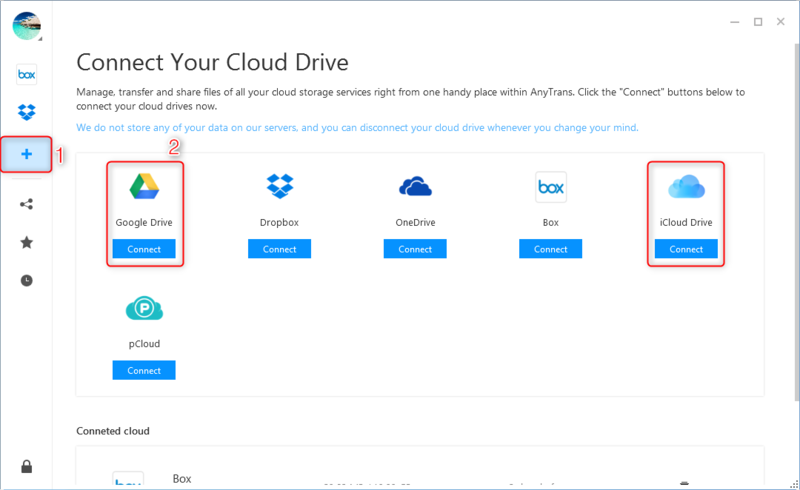 AnyTrans for Cloud supports managing files of 10+ cloud storage services like iCloud Drive, Google Drive, Dropbox, OneDrive, Amazon, pCloud and so on. 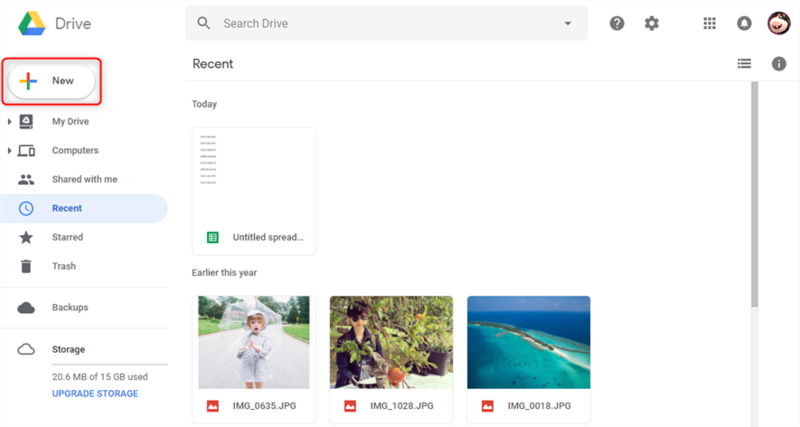 Sign up for this free cloud manager, and follow the steps below to transfer photos from iCloud to Google Drive in a simple way. Step 1 Install and launch AnyTrans for Cloud on your computer(Mac/PC) > Login your AnyTrans account. Step 2 Click the “+” button in the left sidebar to add your cloud account > Choose iCloud Drive and Google Drive > Your authorization is necessary to let AnyTrans help you to transfer photos from iCloud to Google Drive. Step 3 Enter your iCloud Drive account > Select photos or folders you want to transfer > Click on “Sync to Cloud” button on the menu > Checkbox Google Drive > Click Start. Step 4 Wait for a while, and then your photos shall be transferred to Google Drive. 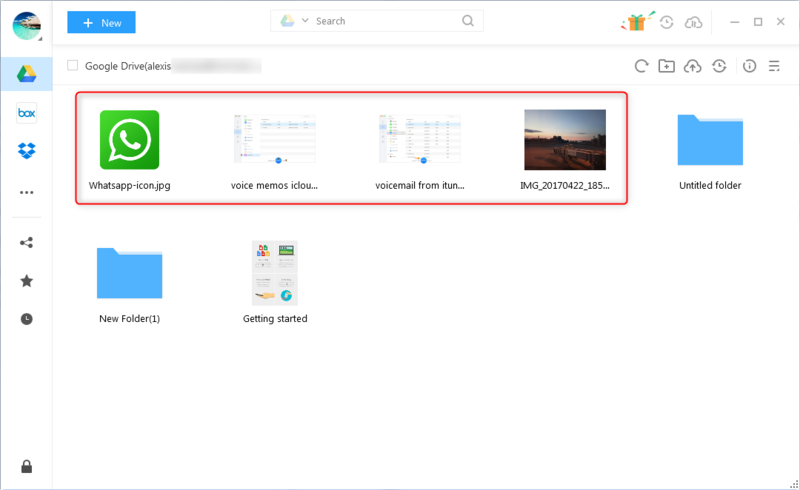 As you can see, it is not hard to transfer iCloud photos to Google Drive by utilizing the two above-explained methods. Though the two methods both have their own merits, AnyTrans as a free cloud manager can help you do more things on cloud management with a super fast speed. 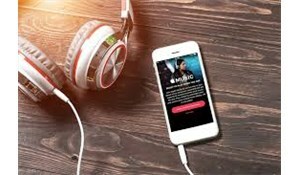 Sign up for free now and give a try to it!